In this charming and hilarious Level 3 Ready-to-Read, practical Zach and his inventive sister Lucy live in a little apartment in a big city—their space may be small, but their imaginations are just the opposite. They go door-to-door asking for contributions to the Museum of Natural Wonders and come away with everything from a tarantula (from Oliver in 2D) to baby teeth (from Henry in 4H). All of their fellow residents are impressed with the museum…well, everyone except grumpy Mrs. Blankenship in apartment 2C. 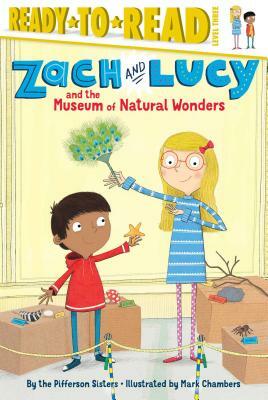 Will Zach and Lucy be able to find a way make Mrs. Blankenship smile?